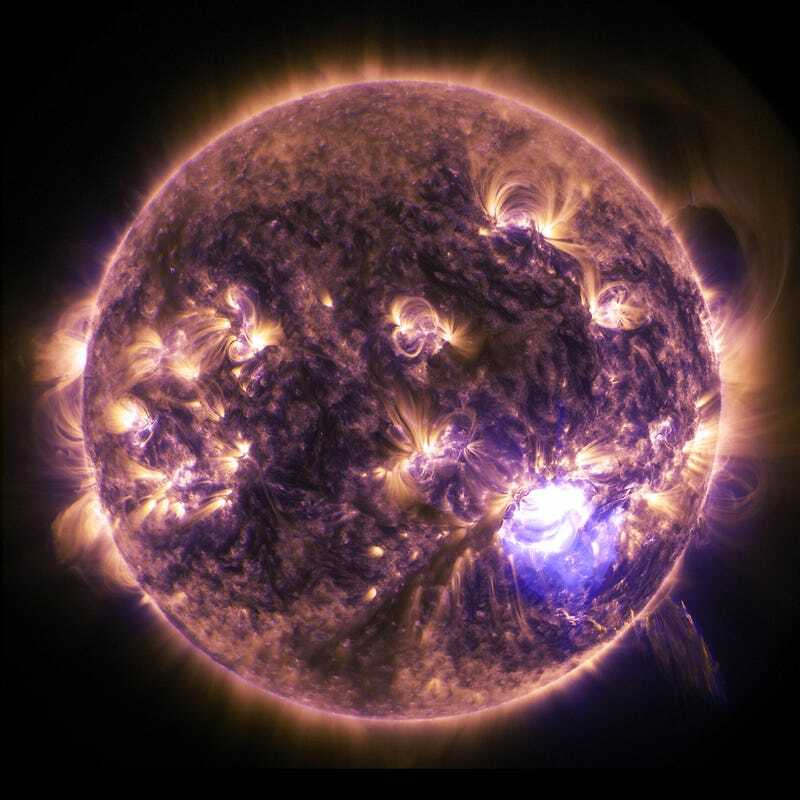 A solar flare peaked at 7:28 p.m. EST on December 19, and the NASA's Solar Dynamics Observatory caught this image of it. It was classified as X1.8-class. X-classes are the most intense flares, with an X-2 being twice as strong as an X-1.